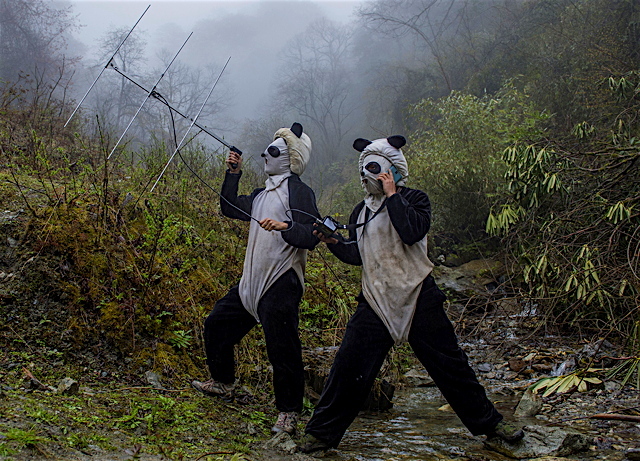 In a large forested enclosure of the Wolong Reserve, panda keepers Ma Li and Liu Xiaoqiang listen for radio signals from a collared panda training to be released to the wild. "...adored by billions, the giant panda is a virtual brand whose resemblance to anything wild is as tenuous as it is rare..."
It will chew your face off! Send a couple of wild assed Panda's over to the next BLM street party.